CGI Inc. President Gary Smith: Color Glo is a family business in its third generation. 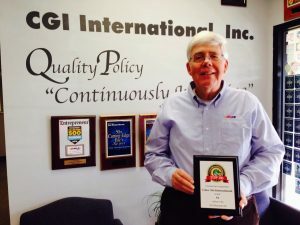 Since its beginning in 1976, Color Glo International ® has become the recognized leader in the mobile furniture and automotive reconditioning industry. 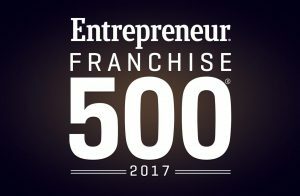 Founded by Everett C. Smith to address the growing demands of an industry that was growing each year, Color Glo has from the very beginning been the benchmark of this industry. Having been involved in the reconditioning industry for years, Everett Smith felt the change was needed. He realised that the existing products were not of the quality he would need to build a strong and successful brand. 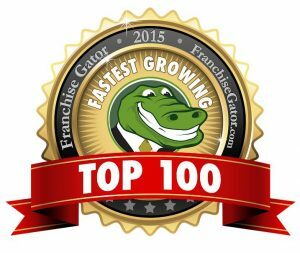 Although it was very costly and challenging, he decided that for his company, the only direction that would satisfy his pursuit of perfection and quality was to formulate his own line of exclusive and proprietary products. Color Glo opened their own research and development labs to formulate the best products in this industry. He hired chemists that had strong backgrounds in new product formulation and research. Over a period of several years, his team developed the original Color Glo proprietary line of restoration and repair products. Today the original 8 products in the line have grown to over 100 different and unique products. Each of the over 100 products is developed and selected to work seamlessly within the Color Glo system. 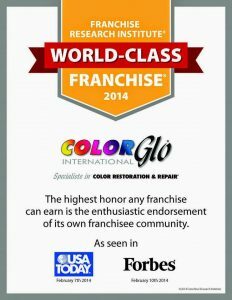 In the last 40 plus years, Color Glo has grown from an idea to an International operation that encompasses the globe. The corporate headquarters are located in Minneapolis, Minnesota. Over the years, Color Glo has been recognized repeatedly by National and International publications for the excellent products, value and quality of this services that they offer. Color Glo introduced its services to Ireland in 2003 and quickly became the service provider of choice to some of Irelands best-known Furniture Retailers, Furniture Distributors & Car Dealers. The industry in Ireland quickly recognized the superior quality of products and craftsmanship versus anything else that had previously been available in Ireland. 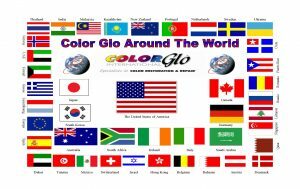 Color Glo has continued to grow and be the industry market leader in Ireland.